A climatic adventure game originally released for iPad in 2011. The mechanics of the game is based on the point-n-click interface, so the game is mainly about searching the locations in order to find clues to help solve puzzles. 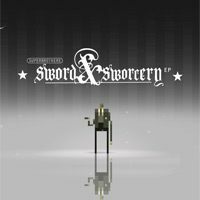 Superbrothers: Sword & Sworcery is a brave experiment in I/O cinema; A fresh approach to adventure & action designed for Apple’s touchtronic machinery; A 21st century update to the pioneering works of Miyamoto, Mechner & Chahi; The recipient of the ‘Achievement in Art’ award from the 2010 IGF Mobile; A crude videogame haiku about life, love & death; A showcase for a style of painterly pixel artwork familiar to readers of Wired & The New York Times; A videogame EP featuring music by rockstar & critically acclaimed composer Jim Guthrie; Created with a broad, literate audience in mind. A choice cut of myth & dreams.